This is a general page about Lehmann recordings. There are specific pages you can check out, such as Die Walküre, Der Rosenkavalier, Winterreise, her recordings in English and her light, pop and operetta recordings. You can also hear Lehmann in comparison with other singers in the same song or aria. For a list of the arias and songs that appear on various CDs, check out the CD index (in progress). You can also refer to the simple discography or the “illustrated” discography, (also, in progress), where you can find examples of Lehmann’s singing of the various listings, albeit in mp3 format. Lotte Lehmann’s voice recorded well. There are a lot of CD re-issues of her recordings available from many sources, new and used. Below I provide a partial list of those CDs and their contents. For a more complete list, you can try the CD index. Even before there was a microphone and Lehmann had to sing into a horn, the result was acceptable. Her acoustic recording of Butterfly’s Entrance, with her sustained optional high Db at the end is remarkable. Other amazing pre-electric-microphone recordings include: O Sachs (I include the texts/translations at the bottom of the page. Enjoy!) Gut’n Abend Meister; Cäcilie These three recordings are all available on the Preiser label. The first two are from Die Meistersinger, the third, a Richard Strauss song. None of these was re-recorded electrically. If you don’t know about these terms you can read about early recordings. In the mid 1920s as the microphone was introduced it is interesting to sample Lehmann’s final “acoustic” recordings and compare them to her first years of “electric” ones. Werner’s Heidenroslein 1926 vs. Komm, Hoffnung 1927 (I offer Komm, Hoffnung again, on another page with commentary and translation.) By the 1930s, Lehmann’s interpretive genius and voice came together for a series of now legendary recordings, including Der Rosenkavalier: Marie Theres’! . . . Hab’ mir’s gelobt and Die Walküre: Du bist der Lenz. Both of these classic recordings are available through the Naxos or Pristine labels. Though her Lieder recordings of this period were marred by the salon orchestras which accompanied her, the Lehmann sound is glorious. Brahms: Von ewiger Liebe on the hänssler CLASSIC label. The light music that LL recorded during these years is infectious in its lack of pretension, coupled with phrasing and tone, rarely matched by anyone before or since. Der Duft, der eine schöne Frau umgibt from the WELTBILD/HISTORY company. By the 1940s when LL concentrated on Lieder recordings, we finally have a chance to sample some fine performances that measure up to modern standards. Schubert’s Mut from Winterreise, can be found on Pearl, Naxos, as well as many other CDs. The live performances, often taken from a radio broadcast and recorded on a fan’s acetate, give us a chance to hear LL in the thrall of the moment, such as this Wolf song “Wenn du mein Liebster” from a 1938 TownHall broadcast. Her final Lieder recitals in 1951 were recorded and provide proof of history-making moments. WidmungVAI Audio is one of the companies making this recital available. For in-depth reading of critical comment and recording history of the 1933 classic refer to: Der Rosenkavalier Recording I also provide extensive information on her performance and recording of Die Walküre. This is a listing of Lehmann CDs in alphabetical by record company. On a different page you can find the accurate CD listing of Lehmann recordings by content and references to my discography of individual tracks. ARABESQUE TOO Y2003 Lotte Lehmann, To Honor Her Legacy, A Sung & Spoken Tribute. Besides LL singing and speaking about the Mendelssohn song Die Liebende schreibt, one can hear her students and other artists speaking about Lehmann or singing. The artists include Grace Bumbry, Beaumont Glass, Kurt Ollmann, Lotfi Mansouri, Jennifer Larmore, Paul Sperry, Dalton Baldwin, Marcella Reale, Mildred Miller, Wolfgang Holzmair, Luba Tcheresky, Judith Kellock, Norman Mittelmann, Marni Nixon, Nathalie Stutzmann, Christoph Prégardien, Alice Marie Nelson, Lois Alba, Juliane Banse and Speight Jenkins. All the work was provided gratis, but the results are excellent. CBS MPK 44840, Schumann’s Frauenliebe und -leben and Dichterliebe with Bruno Walter at the piano. Classic recordings, but the sound isn’t better than LPs. Not easily available in the US. 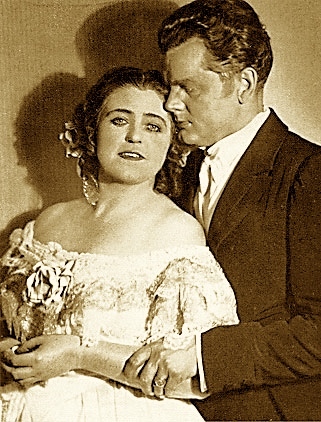 CLAREMONT CD GSE 78 – 50 – 57, Lotte Lehmann Sings 26 Lieder; Recorded between 1928 – 1941. Early Schmann songs with chamber orchestra accompaniment, as well as Bist du bei mir and the wonderful Wolf songs recorded in 1939 make this CD worthwhile. Some R. Strauss and Brahms Lieder recorded on Columbia not easily found on other CDs are beautifully sung. Note the legato line of Wie bist du meine Königin or the light-hearted touch on Sonntag. DACO CD317 – 318, Wagner’s Die Walküre, Acts I & II, again the famous studio recording of 1935, including the second act in which Lotte Lehmann is brilliant. Sonically superior to 78 rpm or LP incarnations. High-priced, but worth it! DANTE LYS 231 – 234 Lotte Lehmann Schubert: a four CD set of all the Schubert Lieder Lehmann recorded. This includes studio and live performances, the complete Die schöne Müllerin and Winterreise. The early Schubert recordings with café orchestra as well as the test pressing of Nacht und Träume are combined in one beautiful set. Some of the live recordings are new to me and need patience to listen through the noise of the original recordings. The notes by André Tubeuf are a joy; there are photos and good discographical data. One error: the An den Mond that Lehmann recorded in 1947 is to poetry by Hölty, not Goethe and begins “Geuss lieber Mond…” The company is out of business, but one can find the CDs second hand. DANTE LYS 326 – 327 Der Rosenkavalier in a 1938 Met broadcast with Artur Bodanzky conducting. Besides Lehmann, you’ll hear Kerstin Thorborg as Oktavian, Suzanne Fisher, Sophie, Emmanuel List as Ochs and Friedrich Schorr as Faninal. There is a lot of distortion and the orchestra sounds especially bad, but it is live. See above for this company’s status. EKLIPSE EKR CD 18, Lotte Lehmann, The Complete 1941 Radio Cycle. A two CD set, this is essential to the Lehmann collector. Not only are there some songs that Lehmann did not record elsewhere, but she provides spoken introductions to the songs and gives a sad farewell on Christmas eve 1941 as the US entered World War II. That she was singing so much German repertoire until this point is a tribute to the American public and administration. The sound is excellent; Ulanowsky is the pianist. This company no longer exists, so you can only find these CDs in auctions etc. EKLIPSE EKR CD 20, Lotte Lehmann in Concert 1943 – 1950; this is listed here only for the sake of completeness. Lehmann is not at her best, poor quality sound and duplications make this a senseless disc. (See VAI) There is a second CD: the infamous interview of 1962 with Lehmann and Jeritza. Unless you want vitriol, the less said on that, the better. See above for this company’s status. EKLIPSE EKR CD 25, Richard Strauss: Der Rosenkavalier Act III. A live broadcast of the San Francisco Opera in 1945 right at the end of Lehmann’s opera career. Since this is only the last act, there isn’t a lot of Lehmann. Sadly, by this point of her life she didn’t feel secure enough to sing the high B flat at the outset of the trio, but she is certainly secure about the words and the expression! Boxy, but decent sound. The CD is filled with a 1973 interview with Lehmann on her 85th birthday. See above for this company’s status. EKLIPSE EKR CD 35, Lotte Lehmann’s Santa Barbara Farewell Recital, 7 August 1951. A true historic record: the last performance recorded of Lehmann as a singer. There is the obvious and oft mentioned extra breathing, but there is also much great singing and some songs not elsewhere recorded: Hahn’s L’enamourée, Offrande, Pholoe, Phyllis, Le Rossignol des Lilas and Si mes vers avaient des ailes; Schubert’s An mein Klavier, Fischerweise, Seligkeit; Brahms’ Lerchengesang. The pianist is Gwendolyn Koldofsky whom Lehmann used on the West Coast. She had the same understanding of Lehmann’s style, breathing and rhythmic irregularities as Paul Ulanowsky. For the live recording condition, the sound is ok. See above for this company’s status. EKLIPSE EKR CD 47, Lotte Lehmann; The Town Hall Recitals; recorded (usually off the air) in 1946, 47, 49, and 50. Bruno Walter and Paul Ulanowsky were the pianists. This series originally appeared (more complete) on VOCE LPs. The recitals offer a unique chance to hear Lehmann live; towards the end of her career, but live anyway. The other attraction is the opportunity to sample Lieder that Lehmann didn’t record in a studio: Schubert’s Auflösung, Dass sie hier gewesen, Schwanengesang etc. ; Brahms‘ Willst du, dass ich geh?, Der Kuss, Wie froh und frisch etc. See above for this company’s status. EKLIPSE EKR 54, Die Meistersinger (listing a Salzburg performance of 1937 without Lehmann and excerpts for Act III from 1936 with Lehmann. But there is almost nothing of her to hear. No Quintet etc.) See above for this company’s status. EMI CDH 764255 2, Wagner’s Die Walküre, Act 2. Because the Nazi craziness made this recording a mixture of orchestras and conductors, it has never received the acclaim of the Act 1 recording mentioned below, but Lehmann’s portions with Melchior are conducted by Walter and have the intensity of the crazed Sieglinde that is manic, impressive and a real document to her histrionic genius. EMI CDH 7610202, Wagner’s Die Walküre, Act I, famous studio recording of 1935. EMI CDH 7610422, Lotte Lehmann Opera Arias. These have been transferred by Keith Hardwick and include many arias made directly from the original metal masters. Superior to any previous LP or 78 rpm recordings and mid-priced. A great introduction to Lehmann, the opera-singer. As so many of these CDs, this is out of print, but often found on auctions such as Ebay. EMI CHS 7 64487 2, R. Strauss’ Der Rosenkavalier (abridged) plus Strauss Lieder sung by Elisabeth Schumann and Lehmann. This is the famous all-star 1933 recording with Lehmann, Schumann, Maria Olszewska, Richard Mayr, etc. conducted by Robert Heger. Though many portions (especially with Lehmann) have been improved with digital technology, there a some very strident, metallic sounding sections. GRAMMOFONO 2000 AB 78631: Lotte Lehmann; The International Repertoire: Opera Arias by Mozart, Weber, Gounod, Tchaikovsky, Wagner, Bizet, Massenet, Thomas, Puccini. recorded between 1914-1917 a remastered using the CEDAR sound system. These are cleaner sounding than the Preiser “The Young Lotte Lehmann” discs, but there seems to be some loss is presence and high overtones. There are 20 arias on the Grammofono CD and 48 on the three Preiser CDs. GUILD MUSIC GHCD 2215/16/17 Die Walküre, Metropolitan Opera 1940. Not only a 1940 performance, but various performances conflated to combine the good/famous voices. This is one of the few chances to hear Lehmann in Act III. The combination of sources is not always smooth, but it does provide our only chance to hear Flagstad and Lehmann together. Individual tracks are available from their website. GUILD MUSIC GHCD 2238/39/40 San Francisco Opera Gems. Five operas are offered, including the 1936 Die Walküre with LL and Flagstad. As mentioned above, one can visit their website and download individual tracks. GUILD MUSIC GHCD 2287/88/89 San Francisco Opera Gems. Five different (from above) operas are offered, including the 1945 Der Rosenkavalier. As mentioned above, one can visit their website and download individual tracks. hänssler CLASSIC CD 94.508 Lotte Lehmann, Frauenliebe und Leben, Works by Schumann, Brahms, Schubert and Sacred Songs. Part of the “Living Voices” series, this offers the early FLuL with small orchestra, the early Lieder recordings with salon orchestras, all with Lehmann in great voice. The unique offering of this CD is the sacred songs: O Haupt voll Blut und Wunden, Christi Mutter stand in Schmerzen, Aus tiefer Not, Ach bleib mit deiner Gnade, Jesus meine Zuversicht, and Wir glauben all an einen Gott. These have organ accompaniment and the coordination between the voice and organ is not good. Lehmann’s portion sounds dutiful at best. KOCH 3-1462-2 Y4, Edition WIENER STAATSOPER LIVE: Vol. 12: Lotte Lehmann/Helge Roswaenge/Maria Jeritza; Excerpts from Der Rosenkavalier, Tannhäuser, Die Meistersinger, *Faust, *Salome, Die Walküre, Andrea Chenier, *Cavalleria Rusticana, *I Pagliacci. (*= operas in which Lehmann does NOT sing); This is one volume of a set of 48 produced by Koch of backstage recordings made “live” during performances at the Vienna State Opera between 1933 – 1944. Though some of Lehmann’s excerpts from this series have been available on Teletheater (see complete discography), these have been “improved” for CD. Speaking of Rosenkavalier performances available in this series, Michael Tanner writes in the Summer 1997 edition of ICRC: “The most valuable is that in Volume 12, with Lehmann and Schumann: the trio on this occasion is slow, emphatic and quite marvelous. This volume, in which Lehmann appears as Elisabeth, Eva, Sieglinde and Madeleine (Andrea Chénier), and her great rival Jeritza as Salome, is altogether desirable.” I would only add “for collectors”. LEGATO CLASSICS LCD 133-1, Wagner’s Die Walküre, Act II, with all-star cast (including Flagstad), but poor sound recorded originally on acetates from the radio. Recommended to the committed. MELODRAM MEL 37049, Wagner’s Lohengrin, almost complete (standard Metropolitan Opera cuts but missing the ending) with a great cast: LL, Melchior, List, Schorr, Lawrence, Huehn. The sound is poor, but it is exciting to hear Lehmann in many of the dramatic moments which she never recorded. Two CDs with the second filled out with Lehmann singing Wagner arias recorded from 1916 to 1924 (acoustic). This CD is for the fanatics among us. MEMOIR CDMOIR 408, Great voices of the Century: Great Sopranos: Lehmann, Leider, Teschemacher, Flagstad etc. Includes the 1930 recording Lehmann made of Dich teure Halle from Tannhäuser by Wagner. Acceptable sound. MINERVA MN-A10, Lotte Lehmann: Her Early Records (1914 – 1917). This duplicates several other releases; acceptable sound. MET CD REO3, The Met Centenarians: Lotte Lehmann. This includes selections from Lohengrin, Tannhäuser, Walküre, Mignon, Rosenkavalier, Fidelio, Tosca and songs by Beethoven. MET 207CD, Sunday Night Concerts at the Met. This 2 CD set includes many opera stars singing a wide variety of music (many songs). Lehmann sings Ständchen by R. Strauss. These are NOT recorded at the actual concerts, but from studio recordings of the works that they sang. MET 216 CD, Met Stars in the New World; many singers in American folk, pop and art song. Lehmann sings Irving Berlin’s, God Bless America. Worth the price of the 2 CDs! MET 515CD, Great Operas at the Met: Strauss: Der Rosenkavalier. Excerpts from recordings from 1911 to 1990. Excerpts from the studio HMV recording of 1933 with Lehmann, Schumann and Olszewska. A two CD set for those who want a wide range of recorded performance excerpts. NAXOS 8.110191 – 91 Der Rosenkavalier, part of the Naxos Historical series, this is the classic 1933 recording with restoration done by Mark Obert-Thorn. This 2 CD set offers an Appendix with Richard Tauber singing the Italian aria, the 1927 recording of Lehmann singing Oh sei Er gut, Quinquin…Die Zeit, die ist ein sonderbar Ding, and other historic (1920s) recordings from Rosenkavalier. NAXOS 8.110034 – 36 Der Rosenkavalier from a Met broadcast of 1939, made with the Cedar process from the original acetates. Though there is still distortion, single voices sound OK. Lehmann’s authority as the Marschallin telling Ochs how to behave in the third act, must be heard. It demonstrates why she was so famous for this role. To fill the third CD, one hears the Lehmann performance with the Los Angeles Philharmonic conducted by Eugene Ormandy in Hollywood Bowl, live. The orchestra accompanies Lehmann in Allerseelen, Traum durch die Dämmerung, Morgen and Zueignung by Strauss and a pianist plays for Lehmann’s performances of Schubert’s Ständchen and Brahms’ Wiegenlied. NAXOS 8.110250 – 51 Die Walküre Acts I and II, part of the Naxos Historical series, this contains not only the 1935 classic recording of the first act and parts of the second with LL and Melchior, but the 1938 sections with Hans Hotter et al. Audio restoration by Mark Obert-Thorn. NAXOS 8.111093, Lotte Lehmann, Lieder Recordings, Vol. 1 1935 – 1937. With 32 tracks of the songs of Mozart, Schubert, Schumann, Brahms, Wolf, and Beethoven with audio restoration by Mark Obert-Thorn. This is the first of a six CD series of all of Mme. Lehmann’s Lieder recordings with piano on the Naxos Historical series “Great Singers – Lehmann”. NAXOS 8.111094 Lotte Lehmann, Lieder Recordings, Vol. 2 1937 – 1940. With 32 tracks of songs by Schubert, Schumann, Brahms and Wolf with audio restoration by Mark Obert-Thorn. NAXOS 8.111244 Lotte Lehmann, Lieder Recordings, Vol. 3 1941. With 33 tracks of songs by Schubert (Winterreise excerpts), Schumann (Frauenliebe und -leben & Dichterliebe with Bruno Walter, piano), with audio restoration by Mark Obert-Thorn. NAXOS 8.111095 Lotte Lehmann, Lieder Recordings, Vol. 4 1941. With 26 tracks of songs by Brahms, Wagner, Wolf, Stolz, J. Strauss II, with audio restoration by Walter Andrews (Previously released on Romophone). NAXOS 8.111096 Lotte Lehmann, Lieder Recordings, Vol. 5 1941 – 1942. With 26 tracks of songs by Schubert, R. Strauss, with audio restoration by Walter Andrews (Previously released on Romophone). NAXOS 8.111097 Lotte Lehmann, Lieder Recordings, Vol. 6 1947 & 1949. With 32 tracks of songs by Schubert, R. Strauss, Brahms, Duparc, Hahn, Berlin, with audio restoration by Mark Obert-Thorn (Previously released on Romophone). NIMBUS NI 7802, Divas 1906 – 1935, Prima Voce. Lehmann is heard in the 1927 recording of Komm, O Hoffnung from Beethoven’s Fidelio. See the next listing for a discussion of the Ambisonic process. NIMBUS NI 7819, Covent Garden 1909 – 1939, Prima Voce. Not recorded at Covent Garden, Nimbus chooses the 1933 recorded trio from the final act of Rosenkavalier by Richard Strauss. Lehmann, Schumann and Olczewska are the singers. NIMBUS NI 7822, Great Singers in Mozart, Prima Voce. Though Lehmann wasn’t happy with her Mozart opera legacy, there’s no denying the beauty of her performance of Heil’ge Quelle, (better known as Porgi Amor) from Act 2 of Mozart’s Marriage of Figaro. NIMBUS NI 7873, Lehmann in Opera Volume 1 1916 – 1921, Prima Voce, using their own method of digital transfers from 78 rpm discs. Early recordings of operas such as Oberon, Der Freischütz, Don Giovanni, Mignon, Tannhäuser, Lohengrin, Eugene Onegin etc. These same recordings are duplicated on either the Preiser “Young Lotte Lehmann” or the Grammofono CD. The Preiser set of three CDs is most complete, but the sound isn’t as ingratiating as with Nimbus. Though their Ambisonic process doesn’t electronically remove noise as the Cedar sound system does on the Grammofono CD, the 78 rpm’s are obviously played in an acoustically reverberant ambiance and that is recorded. So there is a bit of “aura” around the sound that one associates with performances in a lively hall. pastCLASSICS: one can go to the pastCLASSICS website and buy either albums or individual songs for $0.49 each. There seems to be many Lehmann recordings available. PEARL GEMM CD 9119, Schuman Lieder: Hüsch, Lehmann, Schorr. Dicherliebe with Hüsch, Liederkreis, Op. 39 with Schorr and the seldom encountered first recording that Lehmann made of Frauenliebe und -leben, sadly with a slushy instrumental ensemble, though Lehmann’s voice is rich and youthful in 1928. Produced and transferred by Mark Obert-Thorn. PEARL GEMM CDS 9365, R. Strauss’ Der Rosenkavalier. Two CDs made from poor 78 rpm recordings with lots of surface noise. Most LPs are superior. One section, O, sei er gut, Quinquin…Die Zeit, die ist ein sonderbar Ding that Lehmann recorded in 1927 was omitted from the HMV release and is here in order to help fill the HMV ‘abridged’ version. Other than that, there is little to recommend this. The filler on the second CD includes excerpts from Die Aegyprische Helene (no Lehmann) and Strauss accompanying Robert Hutt in two of his own songs. Again the sonics are poor. PEARL GEMM CD 9409, Puccini, J. Strauss and Goddard arias, and songs by Jensen, Von Eulenberg and Werner. The original 78 rpm surfaces here are much better than the Pearl CD listed above and the songs are published for the first time since the 78 rpm versions. 71 minutes of great singing; high-priced, but recommended. Search on this site for Wahl’s detailed article on the Von Eulenberg and Werner Rosenlieder. Though the company doesn’t produce this particular CD, one can search the internet to find it for sale. Worth the effort! PEARL GEMM CD 9410, Offenbach, Wagner, D’Albert, R. Strauss, Giordano, Lehar arias, and songs by Wagner, R. Strauss, Meyer-Helmund and Ketelby. The original 78 rpm surfaces that Pearl uses are better than the Rosenkavalier listed above. As in the above listing there are some selections that were never issued in the LP format and are very welcome. My personal favorite is The Magic Song by Meyer-Helmund. Again, over 71 minutes of wonderful singing, worth the high price. Search this site for the review of both of these CDs. Read what I said above about finding these CDs now. PEARL GEMM CD 9500, Lauritz Melchior: Wagner/Verdi/Leoncavallo. A portion of the second act of Wagner’s Die Walküre features Lehmann with Melchior. This is the 1936 live broadcast from San Francisco with Reiner conducting. PEARL GEM 0033 Schubert Die Winterreise, Lotte Lehmann, Paul Ulanowsky, piano. A complete integration of the RCA and Columbia recordings produced and transferred by Roger Beardsley. Good sound. PEARL GEMM CDS 9925, Covent Garden on Record–Vol. III, 1910 – 1925; a 3 CD set of studio recordings. Lehmann is represented in the 1928 recording of Sie atment leicht…Es gibt ein Reich from Ariadne auf Naxos by Richard Strauss. PEARL GEMM CDS 9926, Covent Garden on Record–Vol. IV, 1926 – 1939; a 3 CD set of famous singers who sang at Covent Garden. None were actually recorded there; these are studio recordings. Lehmann is represented by her performance of Mein Herr, was dächten sie? from Die Fledermaus. Recorded in 1931 with Weissmann conducting, this aria catches Lehmann at her lightest. PEARL GEMM CDS 9934, Lotte Lehmann: Opera and Lieder. A two CD set of Lehmann singing a wide variety of arias, songs and even two Christmas carols. Two Robert Schumann cycles with Bruno Walter as pianist are included: Frauenliebe und -leben and Dichterliebe. Two of the Schumann duets with Melchior are also included. A wide-ranging sampling of Lehmann’s art. PREISER 89302, The Young Lotte Lehmann; a 3 CD set of the acoustic recordings (including Lieder) from 1914 – 1924. Good discographical data, no texts, German language notes. These CDs have surface noise one expects from acoustic 78 rpm recordings; there is no filtering process (compare Grammofono’s CEDAR sound system on their release AB 78631). The Preiser is obviously more complete and the sound brighter and, though not as easy to listen to, repays attention with the chance to participate in the innocence and joy of Lehmann’s early days in the recording studio. PREISER 89999, Lebendige Vergangenheit: Immortal Voices of the Vienna Opera. Lehmann sings O sei Er gut, Quinquin, the Marscahllin’s monologue from Der Rosenkavalier by Richard Struass, recorded in 1927 with Manfred Gurlitt conducting. PREISER 89189, Lotte Lehmann as part of the Lebedige Verganenheit series. This release offers the standard opera arias in decent sound from 1927 – 1930. PRISTINE CLASSICAL This company offers many standard Lehmann recordings in a special audio remastering that some critics appreciate. It provides more space around the sound, but in some cases Lehmann’s voice can sound harsh. You can download straight from their site or order actual discs. The classic recordings of Lehmann and Bruno Walter’s Schumann and Die Walküre, as well as the 1933 Rosenkavalier are available. RADIO YEARS RY 70, Salzburg Festival Rarities Vol. 1; Beethoven: Fidelio (Act 1). Live 1936 short-wave broadcast with Toscanini conducting the Vienna Philharmonic. The sound is excruciating to hear, even with CEDAR & WEISS processes. But this is a classic, even historic recording. The intensity of the performance is palpable. Though Lehmann’s “Abscheulicher” is available, the “Komm Hoffnung” with the alternative ending which was originally recorded is NOT available on this CD. This is sad, for two reasons, because this was the occasion that Toscanini transposed the aria down for LL and she chose the “osia” ending, which is seldom performed. One can hope for the complete section of this opera, with all its short-wave interference, in the future. RCA CD 7809 – 2 – RG, mid-priced, high-quality transfers of Wolf, Schubert, Duparc, Brahms, Strauss and other songs in four languages with some recordings never before published. Highly recommended. RCA CD 7914 – 2 – RG, Lauritz Melchior: Wagner/Schumann. Includes five Schumann duets with Lehmann. Excellent transfers but the orchestrations may disturb some listeners. SONY MPK 47682, Songs & Waltzes from Vienna. Originally recorded for Columbia, this CD includes orchestral waltzes conducted by Bruno Walter. Lehmann sings songs associated with Vienna such as Dostal’s Heut’ macht die Welt Sonntag für mich, Leopoldi’s Wien, sterbende Märchenstadt and Sieczynski’s Wien, du Stadt meiner Träume. As an unexpected bonus there’s Mendelssohn’s Auf Flüglen des Gesanges, and French folk songs. This is prime Lehmann: lots of fun play with the Viennese dialect and wonderful diction. Paul Ulanowsky is the pianist. SONY SMK 45919, Schumann: L’essentiel; Volume 1; Schumann’s instrumental works as well as excerpts from the Lehmann/Walter recordings of Dichterliebe and Frauenliebe. SONY SMK 48139, Schubert: L’essentiel; Volume 3; Schubert arrangements and the Death and the Maiden string quartet as well as excerpts from Lehmann’s recording of Die schöne Müllerin with Ulanowsky. See below. SONY S3K 48136, Schubert: Die Meisterwerke; a 3 CD set with a variety of instrumental compositions and four songs from Lehmann’s recording of Die schöne Müllerin: Das Wandern, Wohin? Morgengruss, and Die liebe Farbe. Paul Ulanowsky is the accompanist. VAI AUDIO VAIA 1038, Lotte Lehmann, The New York Farewell Recital (1951); the complete recital in good sound with digital remastering by Doug Pomeroy. There is none of the address to the audience. VOCAL ARCHIVES VA 1195, Lotte Lehmann: Schubert: Die schöne Müllerin. Quiet surfaces that don’t make the sound cramped. This is a good way to hear this cycle if you don’t want to buy all the Schubert Lehmann recorded on DANTE. Ulanowsky is the pianist in this 1942 recording. Though there are some problems with flexibility, get past the first songs and into the drama and there are great rewards. WALHALL RECORDS WHL 1, Die Walküre, Wagner. The Metropolitan Opera on tour in Boston performed the opera with an all-star cast. Besides Lehmann, there’s Melchior, Lawrence, Thorborg, Shorr and List. Leinsdorf conducts this 1940 live broadcast. Don’t expect geat sound, but this is the only place to hear Lehmann’s ecstatic O Hehrstes Wunder in the third act. WALHALL RECORDS WHL 10, Der Rosenkavalier, Strauss. A 1939 broadcast from the Metropolitan opera on 2 CDs. A cast list that was ok: Lehmann, List, Stevens, Marita Farell as Sophie, Schorr (singing Faninal!) with Bodanzky conducting. WELBILD HISTORY 701920 F2, Lotte Lehmann, Szenen aus Opern, Operetten und Schlager (Scenes from Opera, Operettas and Popular Music), part of Stimmen des Jahrhunderts (Voices of the Century). Besides the standard sampling of Lehmann’s opera arias, this has the advantage of hearing the folksongs: Es waren zwei Königskinder and Es steß ein Jäger wohl in sein Horn. There are also three charming popular songs: Der Duft, der eine schöne Frau begleitet, Wenn Du einmal dein Harz verschenkst, and Eine kleine Liebelei. “Cedar” remastering by Nils Heider and Wilfried Venedey. Though renowned for her Marschallin, Lehmann didn’t want us to forget her commitment to the role of Fidelio. Here is Komm’, Hoffnung from Beethoven’s Fidelio, recorded in 1927, the centennial of Beethoven’s death and the year Lehmann first performed the role. Recording with the microphone had only been around a few years, but it allows the listener to hear the words with much greater detail. (103) This is an important enough recording that I’d like to offer some degree of analysis of what Lehmann does and the original words and translation. For this extended information on this one aria, please click here. Die Meistersinger is a long opera with a complicated story. The O Sachs! Mein Freund! section tells its own little story. Wie ich dir Edlem lohnen kann! ich war doch auf der rechten Spur. das war ein Müssen, war ein Zwang! Euch selbst, mein Meister, wurde bang’. How can I reward you, noble man? if you had not awoken me? I would have given the prize to none but you. You yourself, my Master, were dismayed.